Ole Christian Madsen's World War II drama is reputedly the most expensive Danish film ever made. There is none of the lo-fi murk of recent Dogme films; it's handsomely filmed, and plenty of loot was expended on period automobiles and Nazi uniforms. 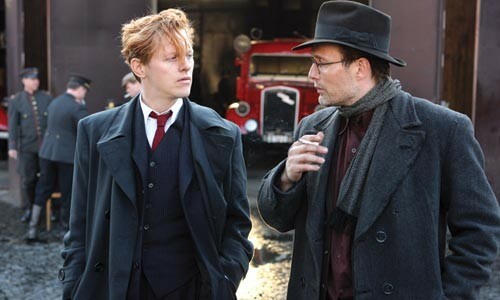 The story, set in 1944 during the German occupation of Copenhagen, follows two colorfully nicknamed heroes of the Danish resistance movement -- the brash, red-haired Flame (Thure Lindhardt) and the moodier Citron (Mads Mikkelsen).